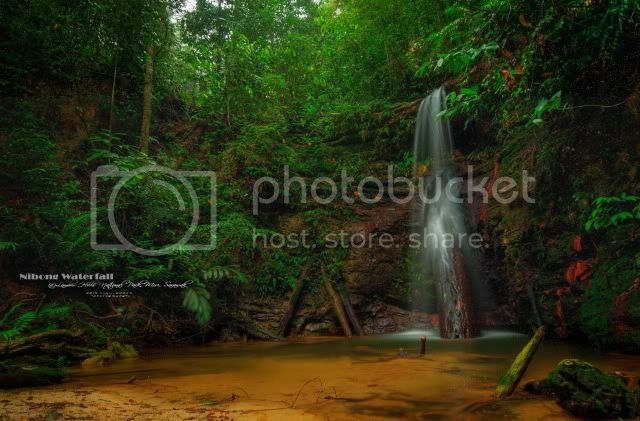 地点 Location Lambir Hills National Park, Miri, Sarawak. 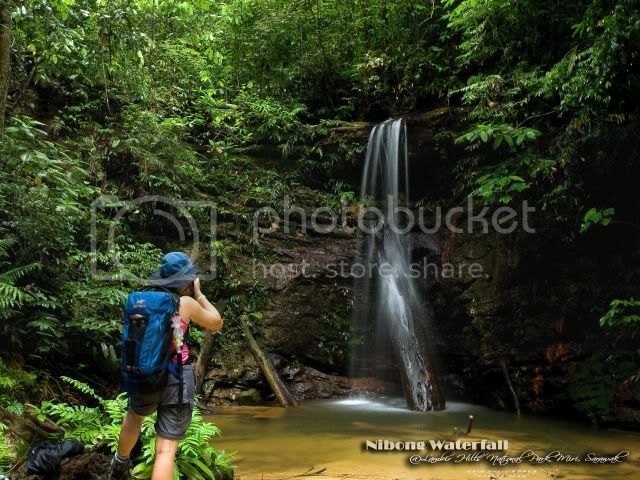 类型 Profile Stream waterrfall, vertical fall. 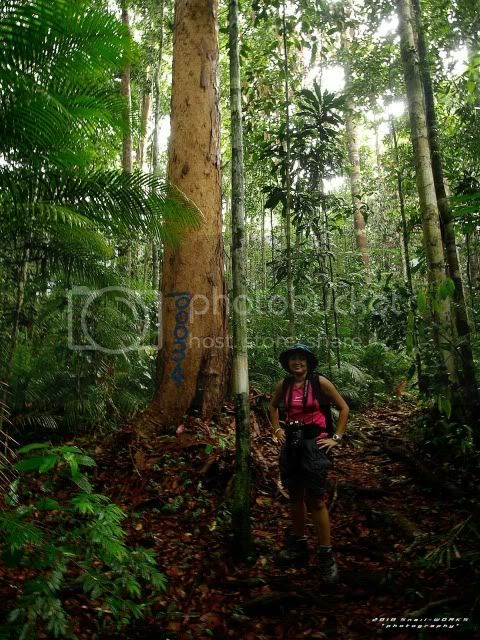 进入 Access 1 hour 50 mins jungle trekking. 水池/营区 Pool/Campsite Small pool near the fall. No campsite available. 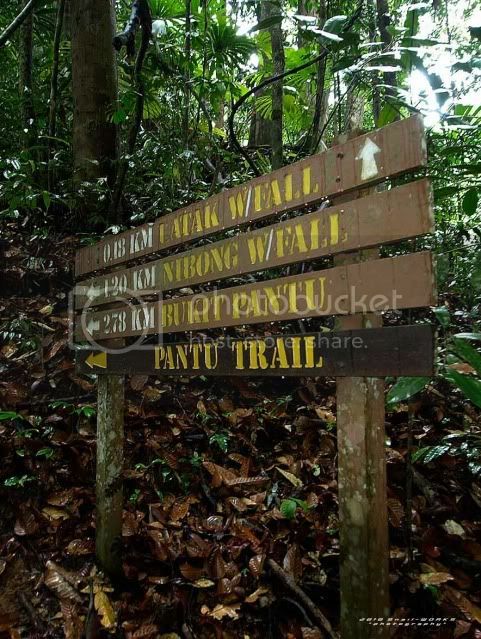 Follow the red marking trail, before the Waterfall 2, there's a junction with a staircase. 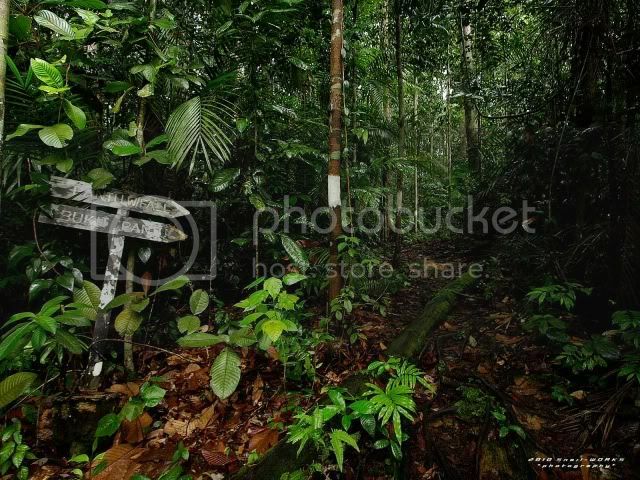 This is the Pantu Trail with white marking. We climbed up this long cemented staircase. 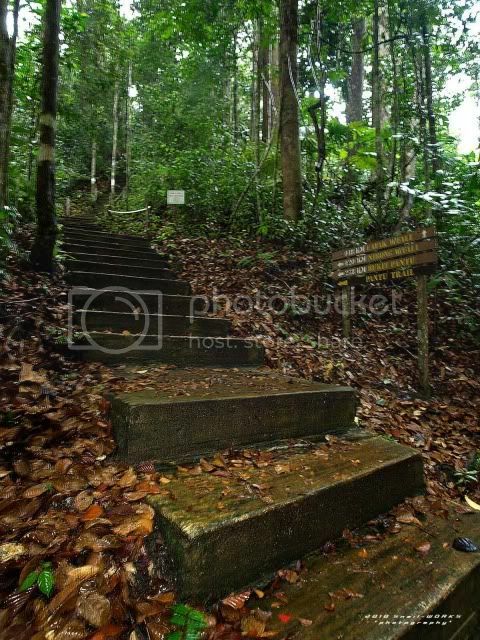 Because just after rain plus wet surface with algae, the slippery staircase almost make Celine fall down. 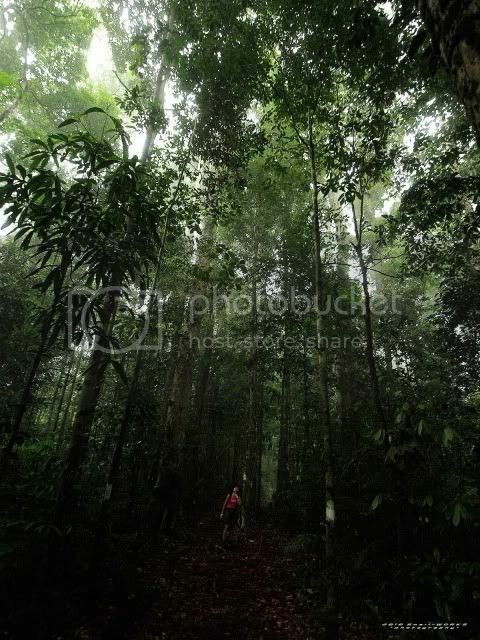 We trekked passby a tree tower. 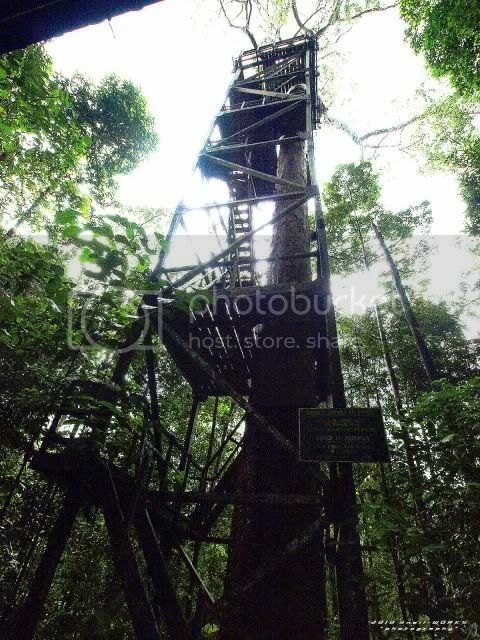 Because lack of maintence and damp weather, the wooden staircase are rotted and dangerous to climb. 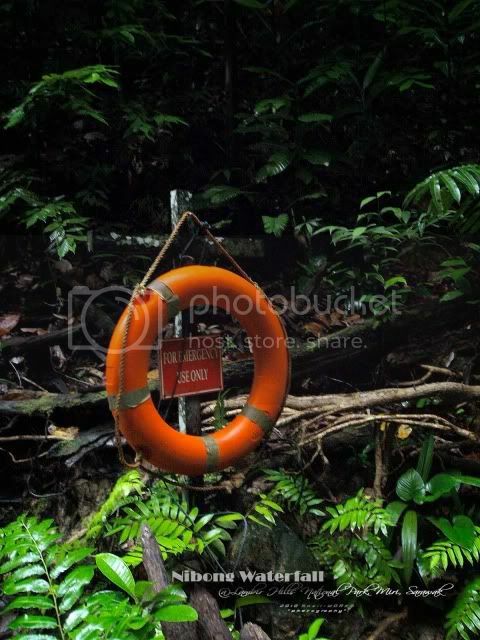 This tourist attraction is closed now. Wasted. Just follow the white marking, you won't off the trail. 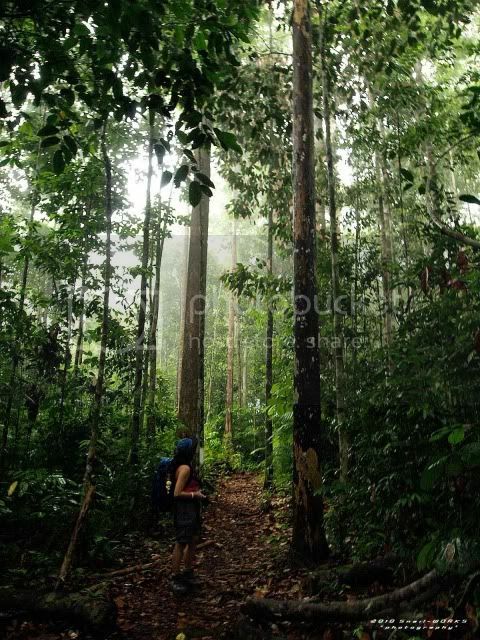 The terrain of white marking trail is not as simple as the red markinf main trail. 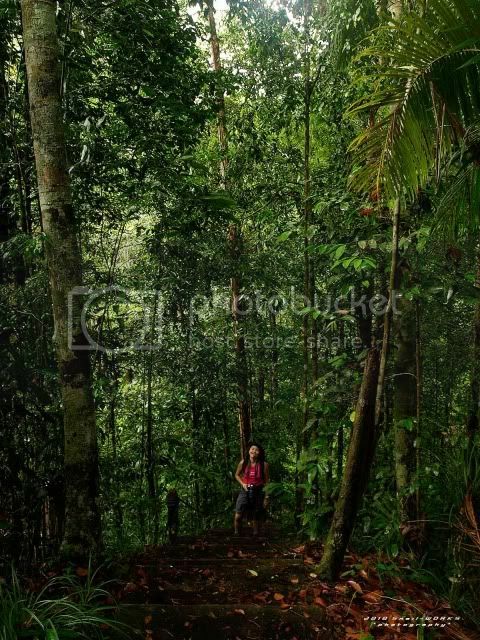 We trekked up and down in the jungle. 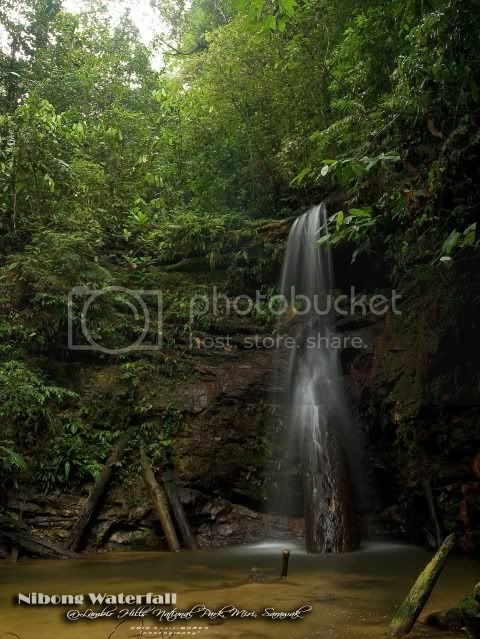 After crossing a stream, we reached Nibong Waterfall. 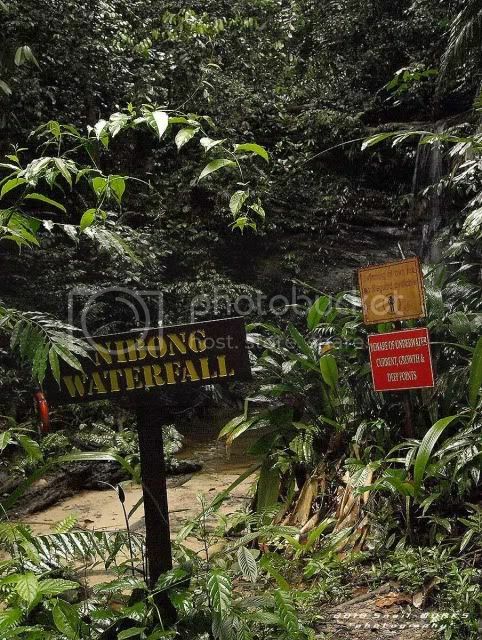 Nibong Fall not as high as the main attraction Pantu Fall. 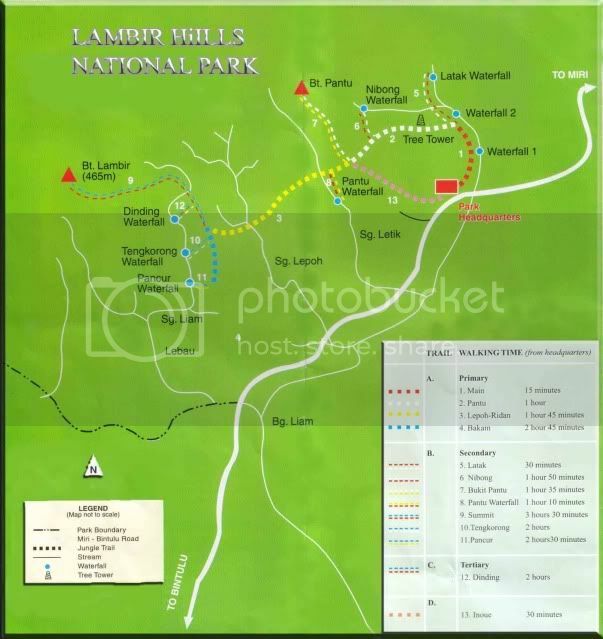 This fall is suit to those day trippers who look for more adventurous experient in the Lambir Hills National Park. 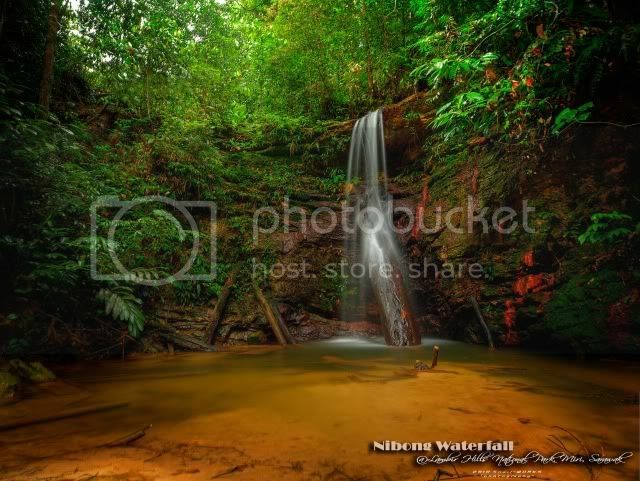 Have you been to the Nibong Fall?